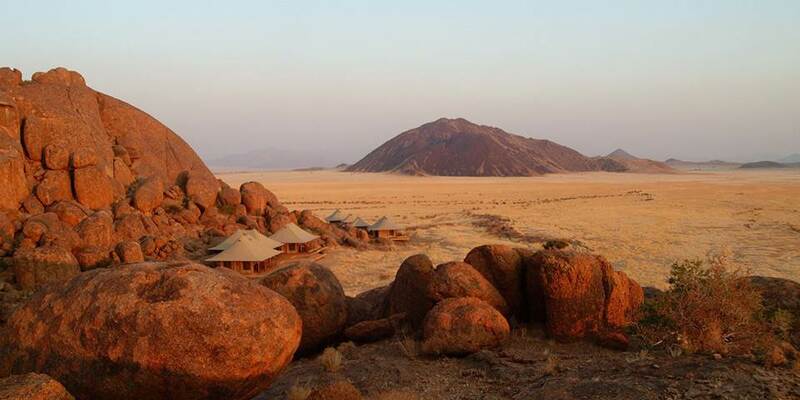 Wolwedans Boulders Camp is situated 45 kilometres south of Wolwedans and hugged by massive granite rocks deep within the 500,000 acre privately owned NamibRand Nature Reserve. 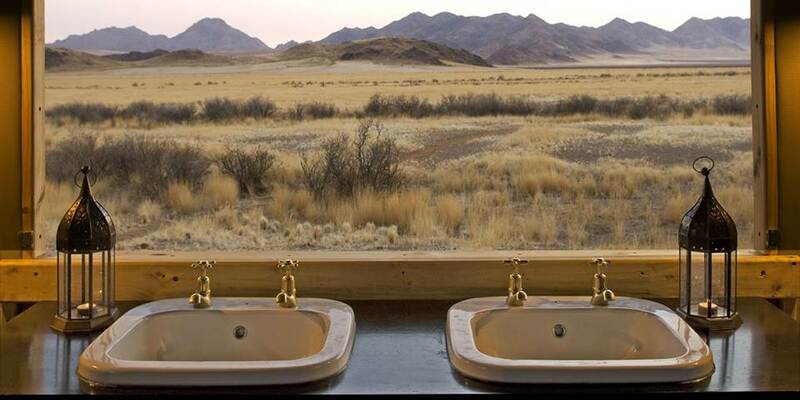 The Reserve shares a 100km border with the 10 million acre Namib-Naukluft National Park in the west and is bordered in the east by the imposing Nubib Mountains. 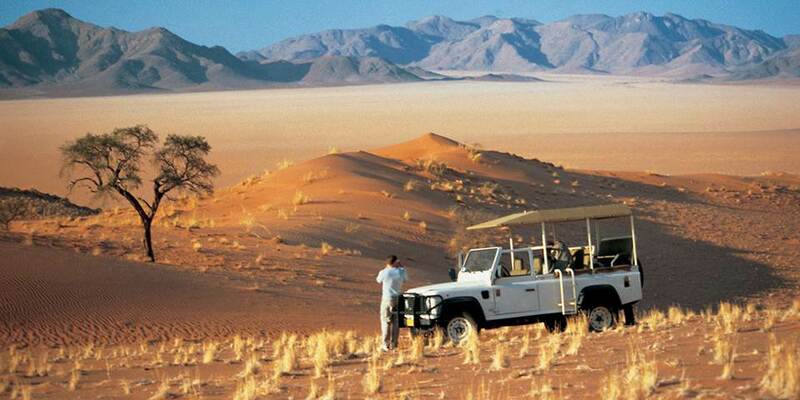 Virtually all facets of the Namib Desert are represented on the Reserve; red sand and gravel plains and stretches of savanna alternate with mountain ranges and vegetated dune belts; the area is almost indescribable! 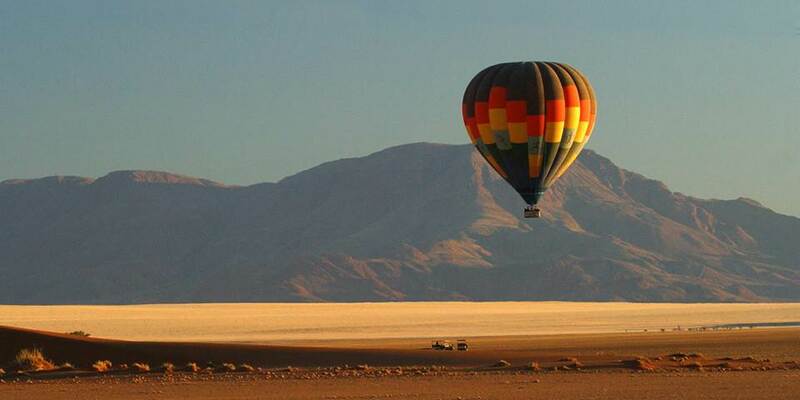 You will be astounded by the desert habitat; home to the most intriguing desert-adapted wildlife, birdlife and plant life which eke out their existence. 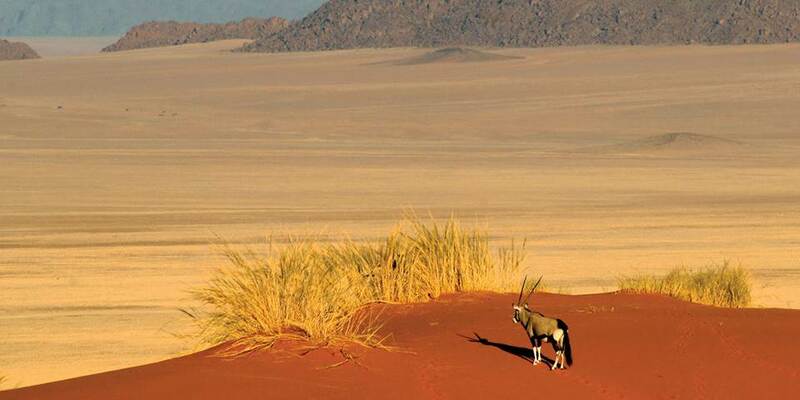 Gemsbok, Springbok, Kudu, Hartman's and Burchell's Zebra, Giraffe, Klipspringer, Steenbok, Hartebeest and Baboon are the main species seen from time to time and occasionally predators including Leopard, spotted and brown Hyaena, black-backed Jackal, Aardwolf, Bat-eared Fox, Cape Fox, African Wildcat, Caracal and Genet. 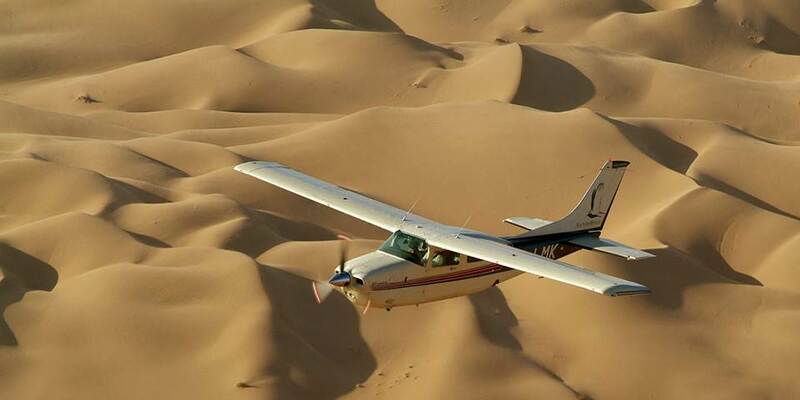 Scenic drives, flights and nature walks with experienced guides reveal the fascinating wonders of the NamibRand Nature Reserve as do picnics in the wild, sundowners on the dunes and dinners by candlelight. 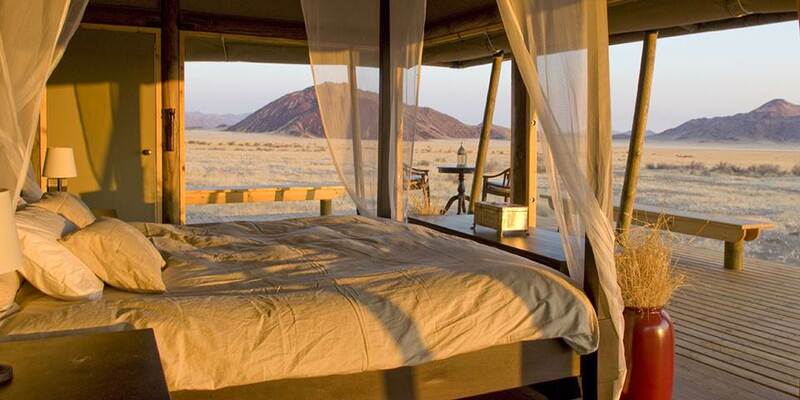 Boulders Camp is undoubtedly the most exclusive camp at Wolwedans and has only 4 very spacious and luxurious ensuite tented rooms. 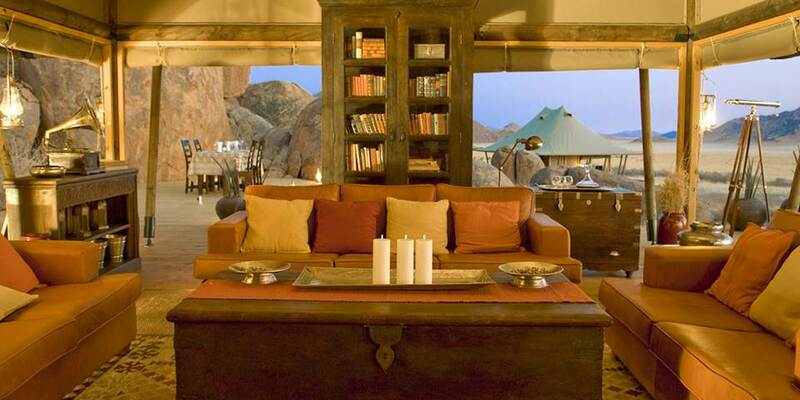 The main area consists of a dining and lounge tent, a breakfast deck and open fireplace. 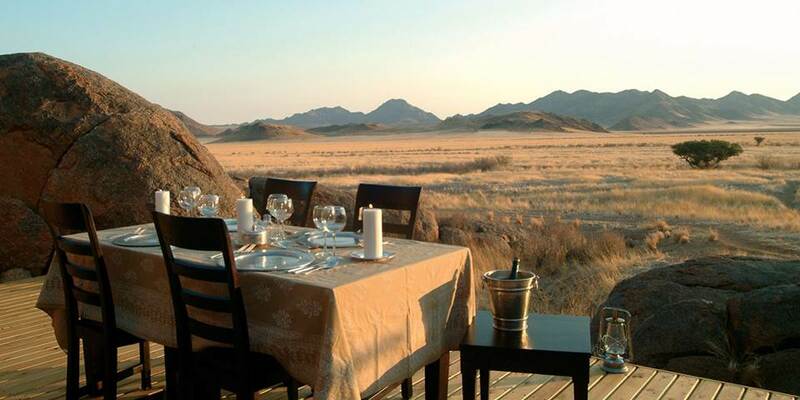 Sundowners can be enjoyed from the top of a mountainous rock plateau close by, delivering epic impressions of the vast beauty of the surroundings.